ABC DVD Copy is a DVD Copy software that can backup your DVD movie disc by several click! Make perfect-quality backup copies of all your DVD movies. 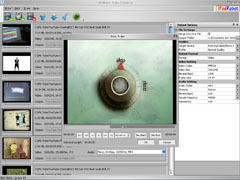 Copy DVD movies to DVD+-R/RW using your own DVD burner. Your favorite DVD has been cloned and will play on most home DVD players. 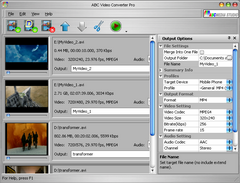 ABC 3GP/MP4 Converter is a free software that can convert almost any formats of video file into 3GP/3GPP2/MP4 format for playing on portable device such as mobile phone, smart phone, PSP, iPod and other portable devices. iPod Video Converter is a FREE tool to help convert almost all format of video file to iPod, iPhone format. Copyright ©2004-2012 ABC Media Studio. All rights reserved.